On CentOS 6.x and before, ifconfig command by default used to shipped. 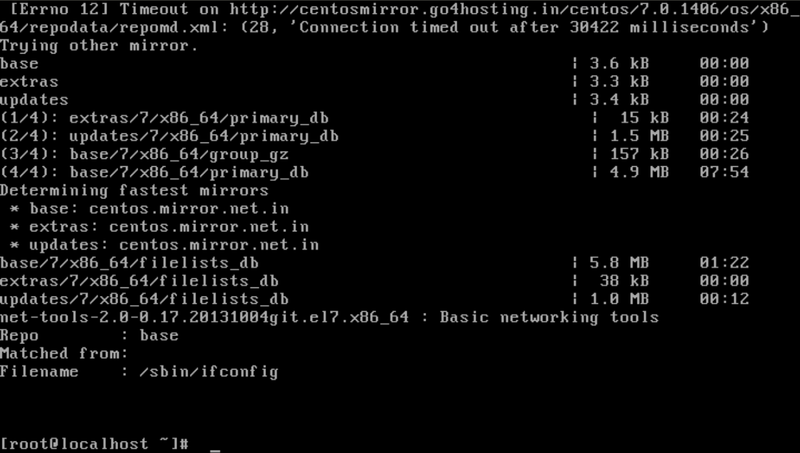 Whereas in minimal installed CentOS 7 , I have not found ifconfig command. This will give you the error , ifconfig command not found. Below screenshot is last section of command output.